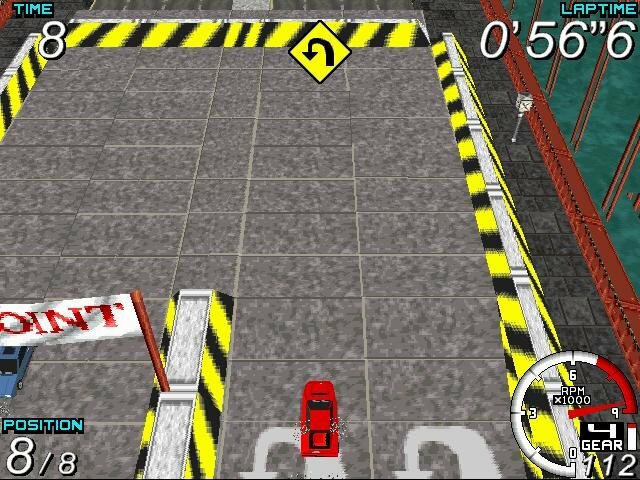 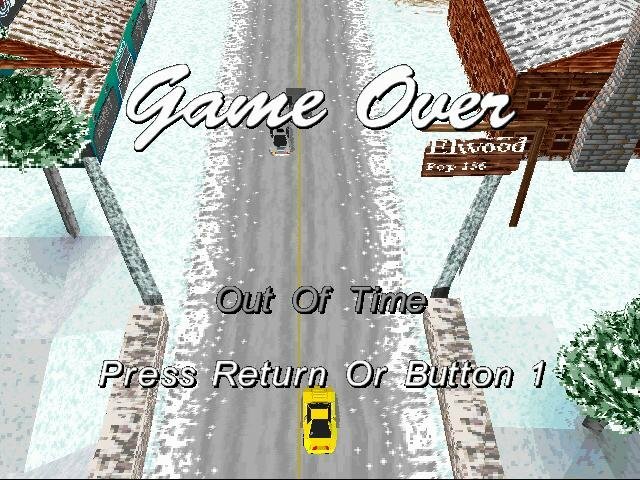 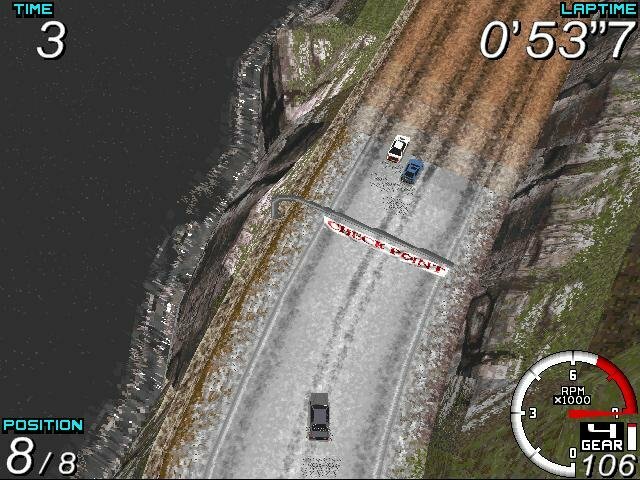 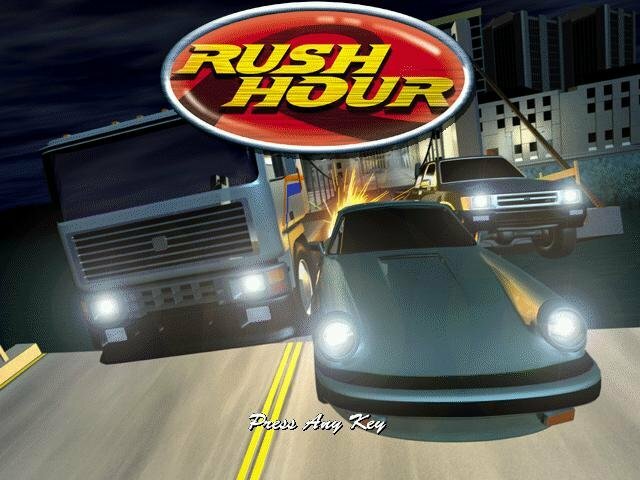 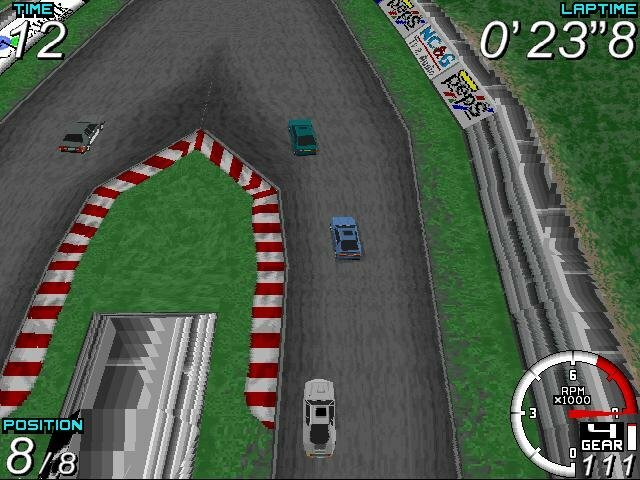 Rush Hour is a racing game in the style of Ignition or Micro Machines. 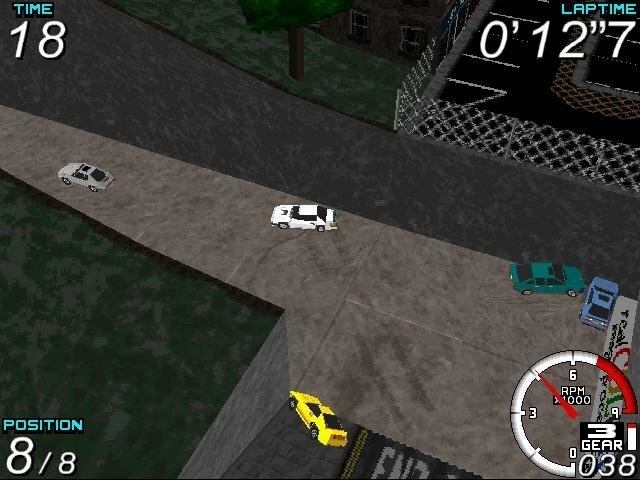 The landscape as well the cars are rendered in 3D, though not exactly good 3D, in a top down perspective. 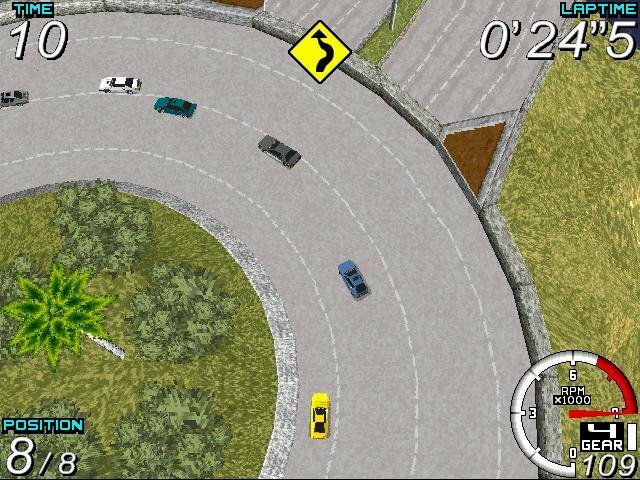 You can drive 16 different sport cars and choose from 8 different tracks. 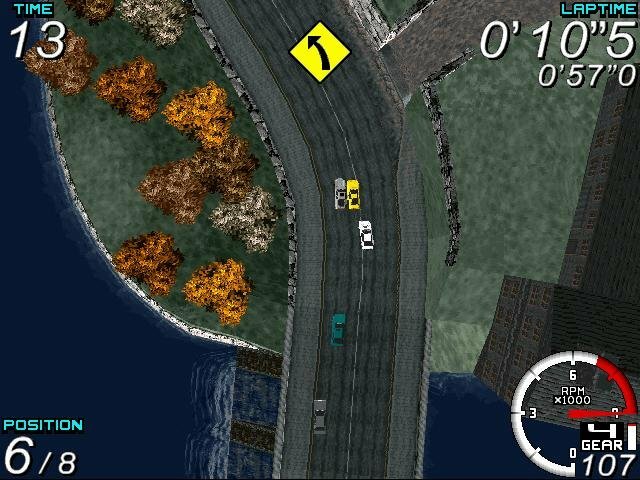 You can play against seven computer-controlled opponents or a human player. 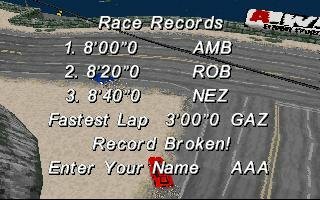 There’s also a World Cup mode and a ghost mode where you achieve the best time on each course.